This beautiful book is filled with over 35 exquisite chocolate recipes from Chocolate Orange Madeleines and Salted Caramel Brownies to White Chocolate Scones with Strawberries and Clotted Cream and of course the quintessential royal chocolate treat, Spiced Hot Chocolate. 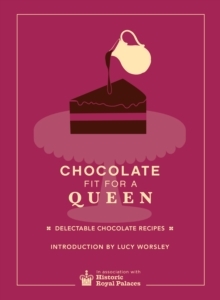 Through these delectable recipes learn the history of making, drinking and eating chocolate from its very beginnings to the royal chocolate kitchen at Hampton Court Palace right up to the present day. Discover why chocolate was considered a status symbol, how it was thought to have medicinal qualities, and the part that chocolate houses played in court life as pleasure haunts for the elite. 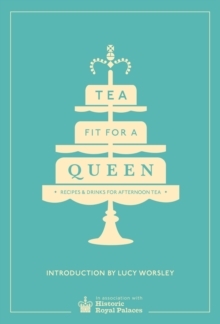 Including chapters on Chocolate Cakes, Pastries and Tarts, Teatime Bites and Biscuits, and Drinks and Sauces as well as fascinating anecdotes about the infamous royals and their connection to the history of chocolate, this charming book provides everything you need to know to make your own chocolate recipes fit for a Queen.